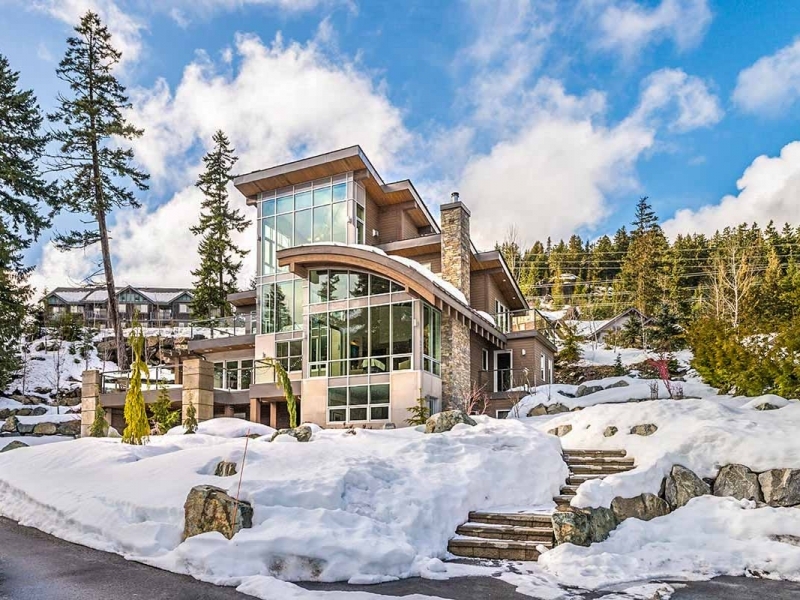 Nita Lake Estate is located only a 4 minute drive to the Creekside Village ski slopes and 8 minutes to Whistler Village. 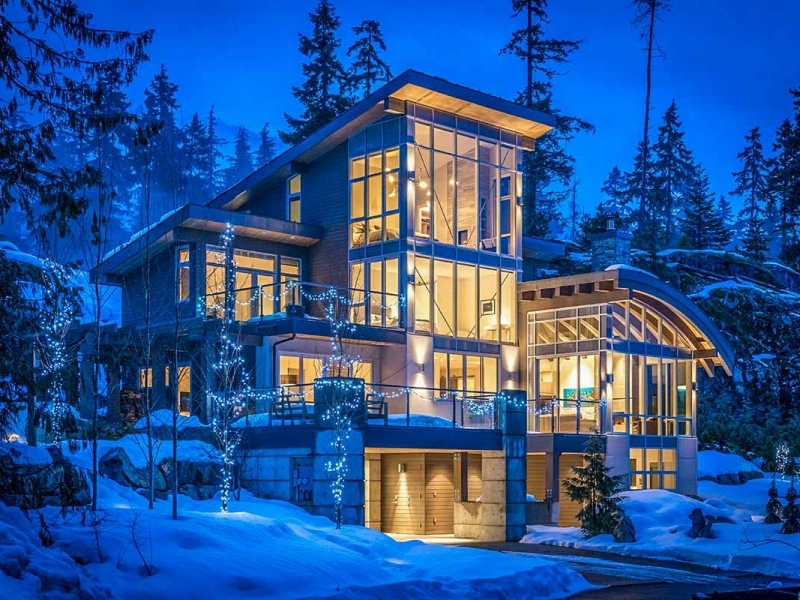 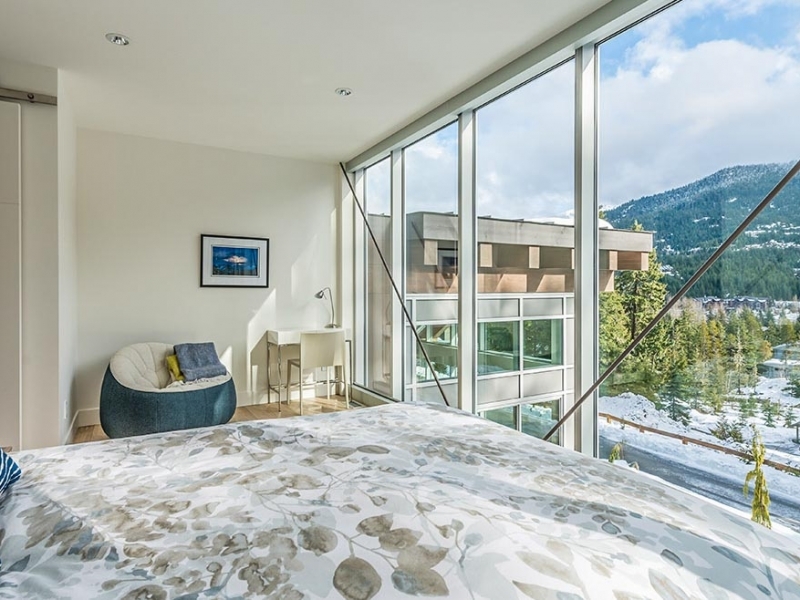 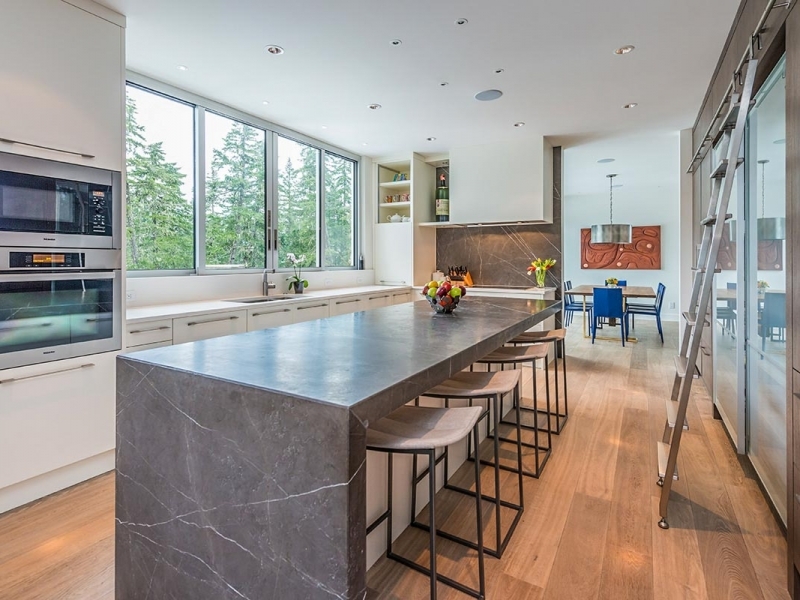 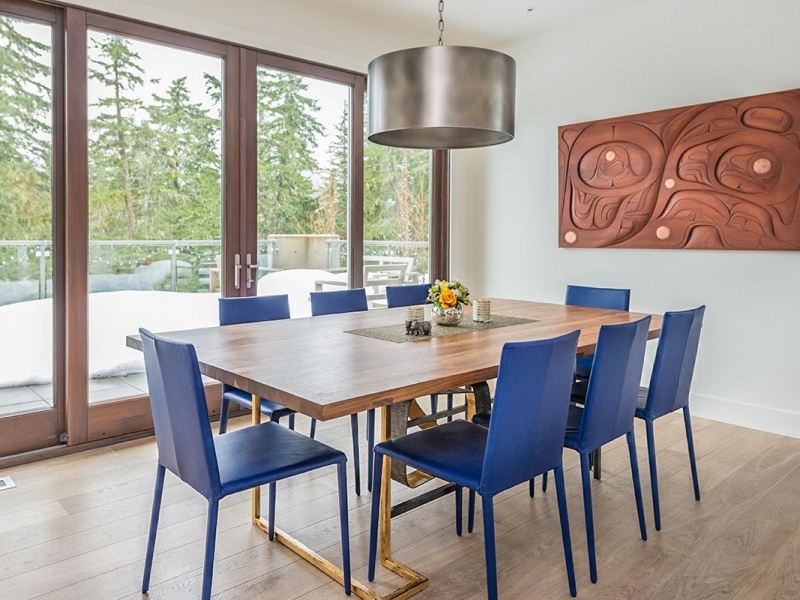 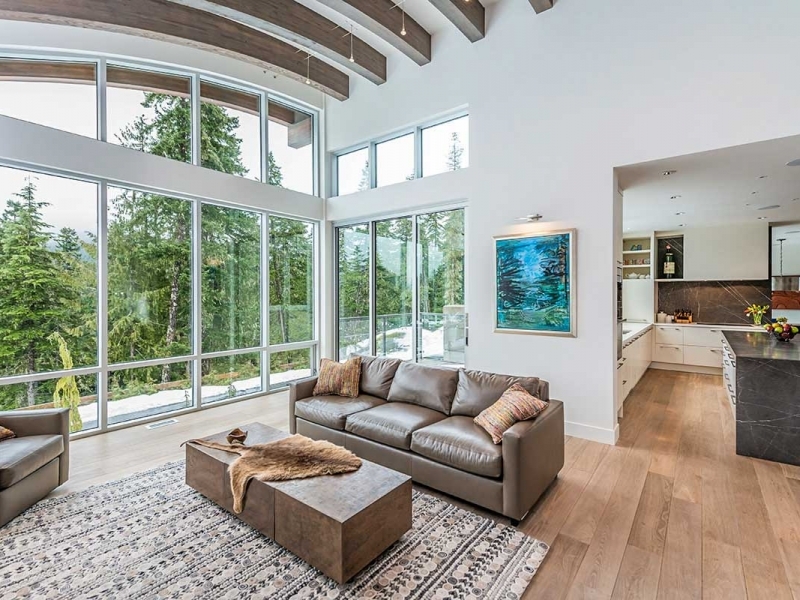 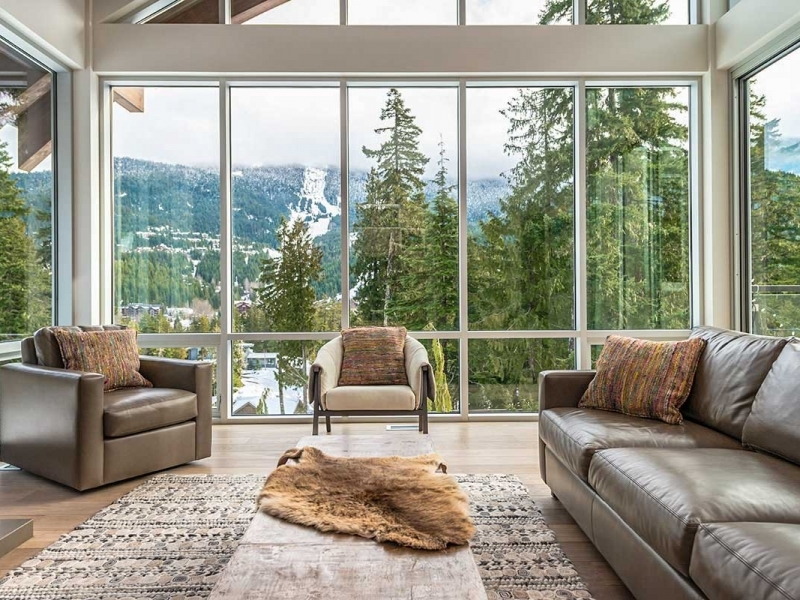 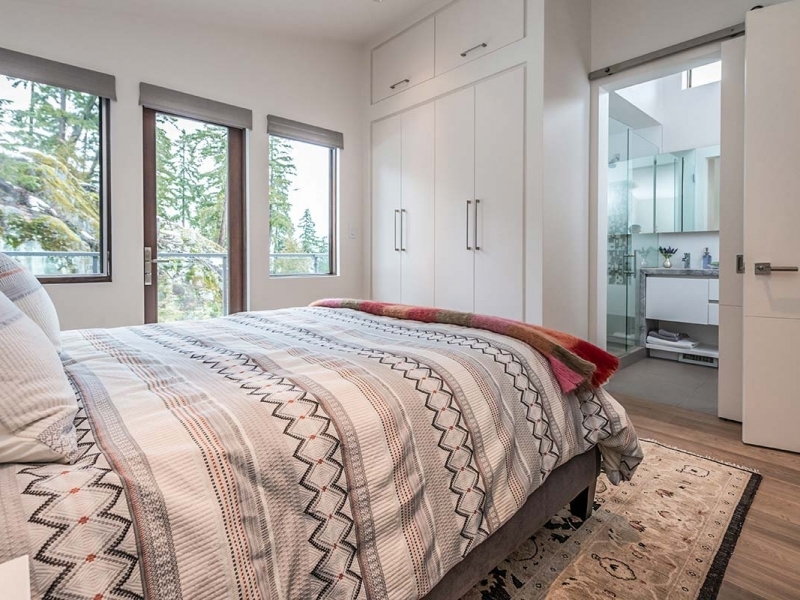 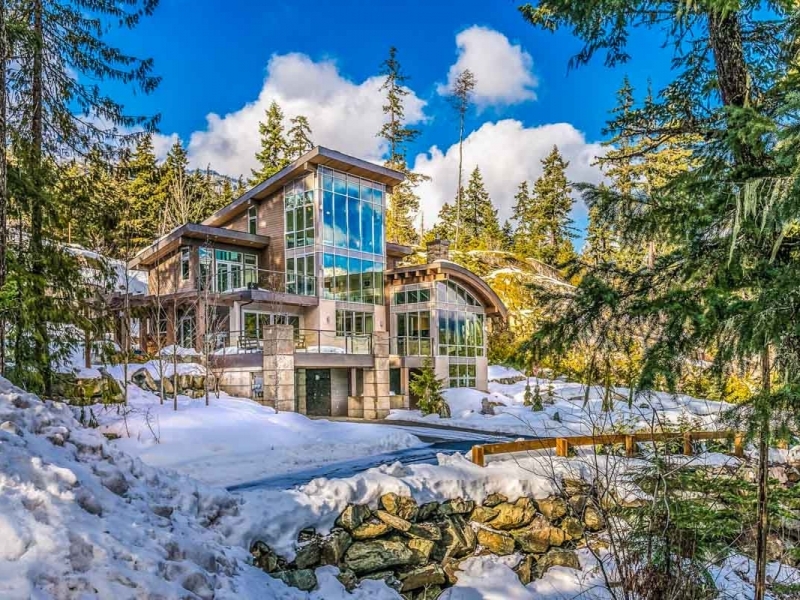 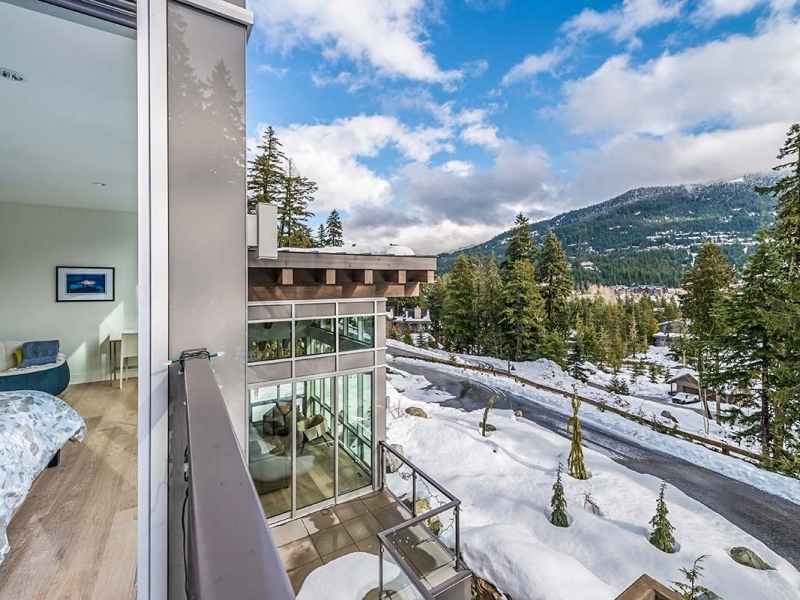 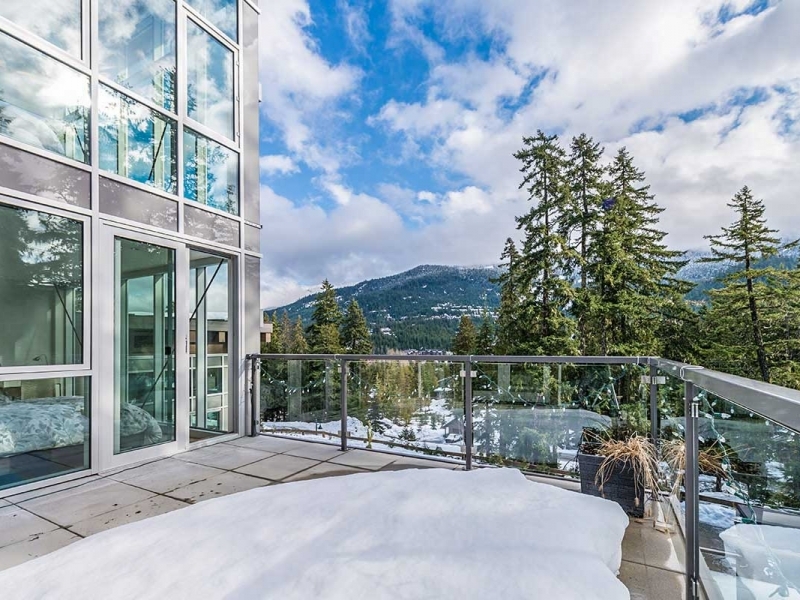 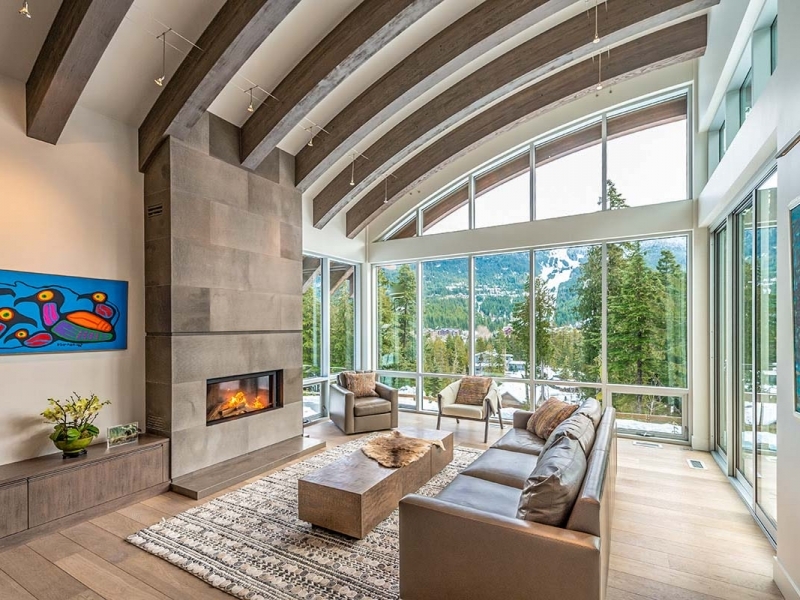 One of Whistler’s newest homes, this luxury residence boasts world class, floor-to-ceiling views of the majestic Whistler mountain from all the primary living spaces as well as the bedrooms. 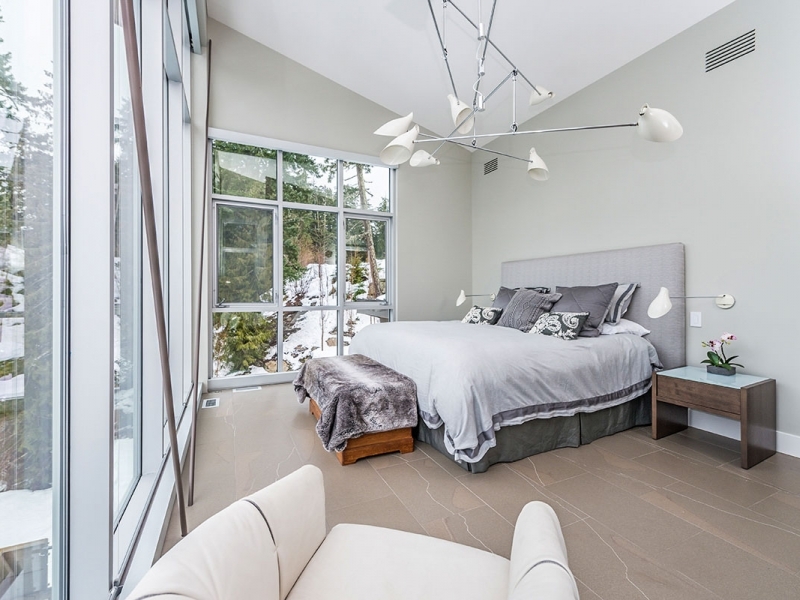 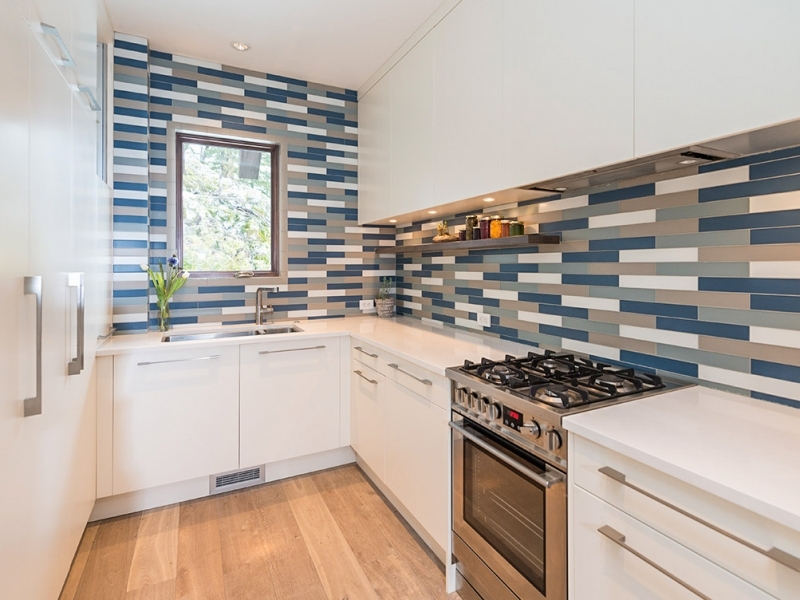 This chalet is beautifully decorated in a modern contemporary design, in every room. 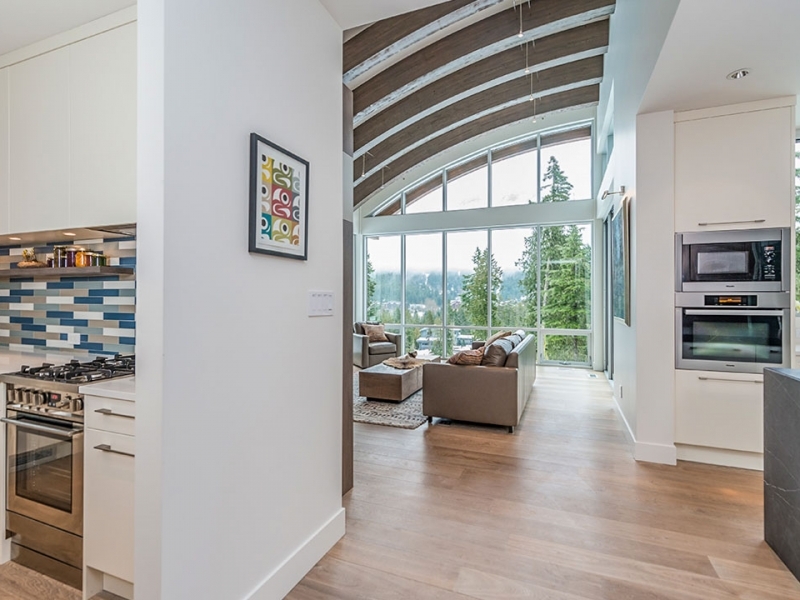 Enter from the ground floor, where you will find an elevator to easily whisk you to any floor in the house. 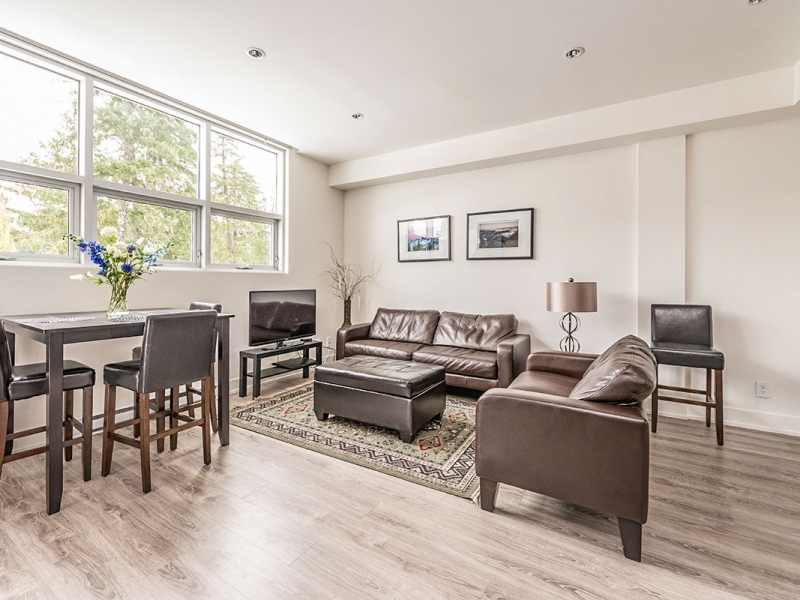 Here you will also find a separate 2 bedroom suite that may be rented separately or together. 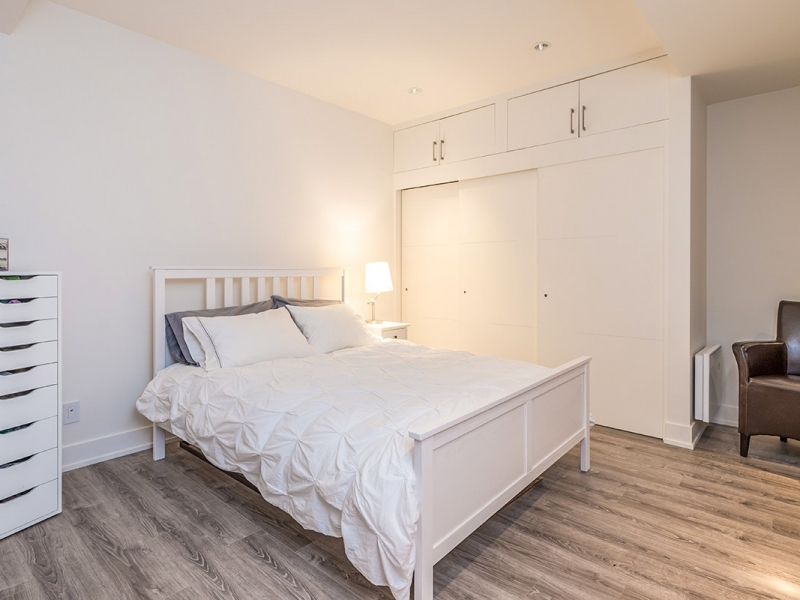 Ideal for multiple families or as a nanny suite. 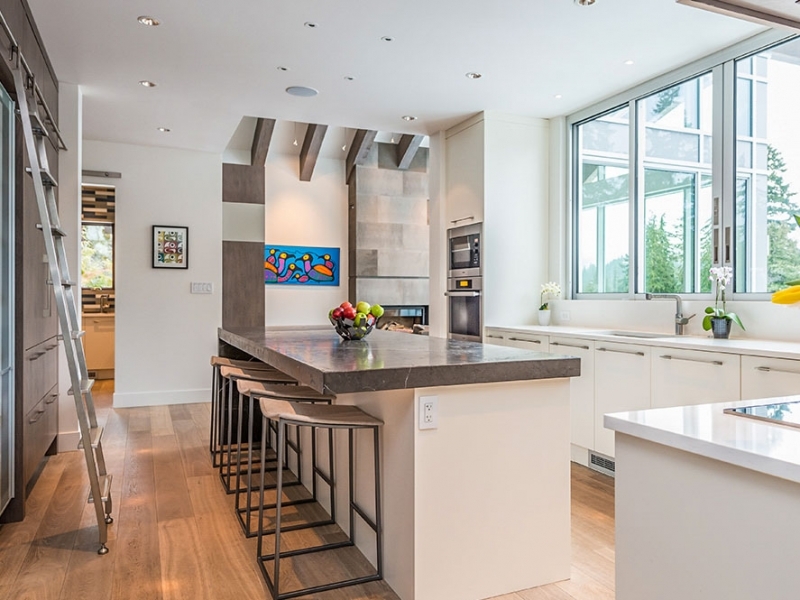 The second floor features a large gourmet kitchen and separate prep kitchen, making this home an idea location for events or groups with a private chef. 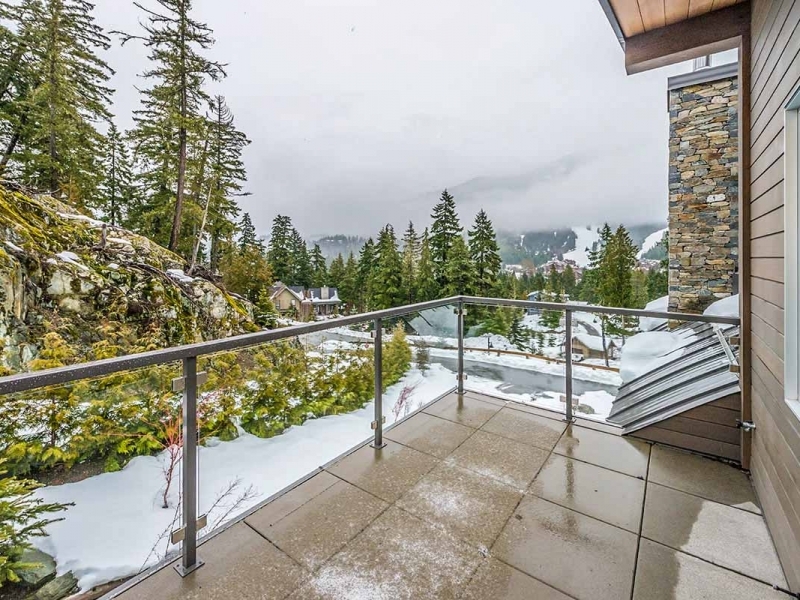 A large balcony is great for entertaining outdoors, and may be accessed from either the dining room, living room, or den/cinema room. 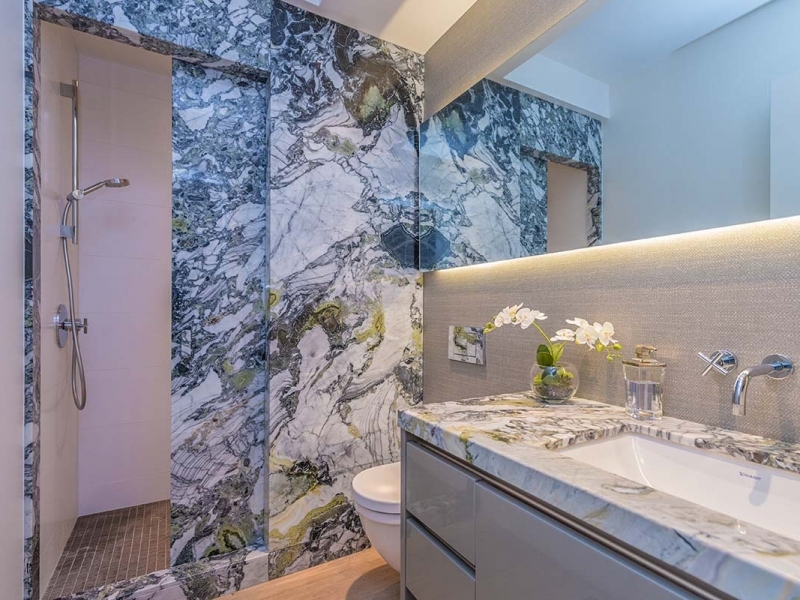 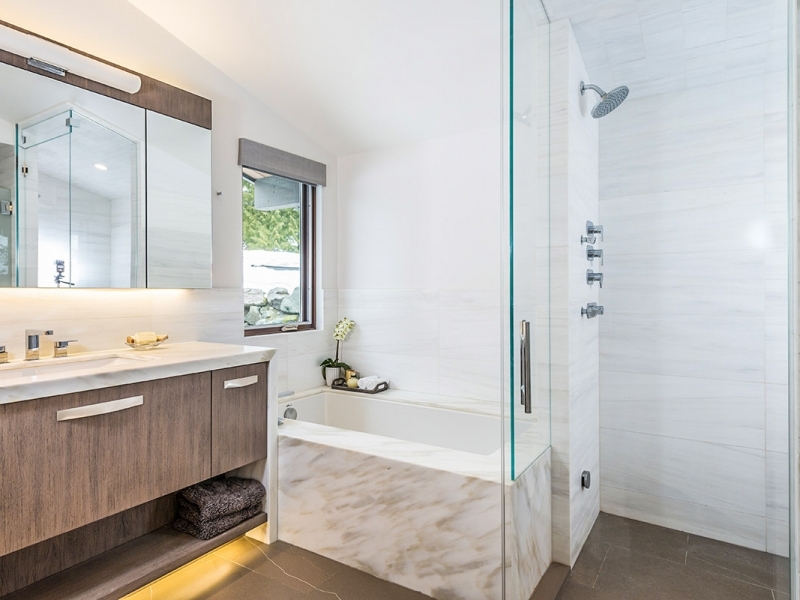 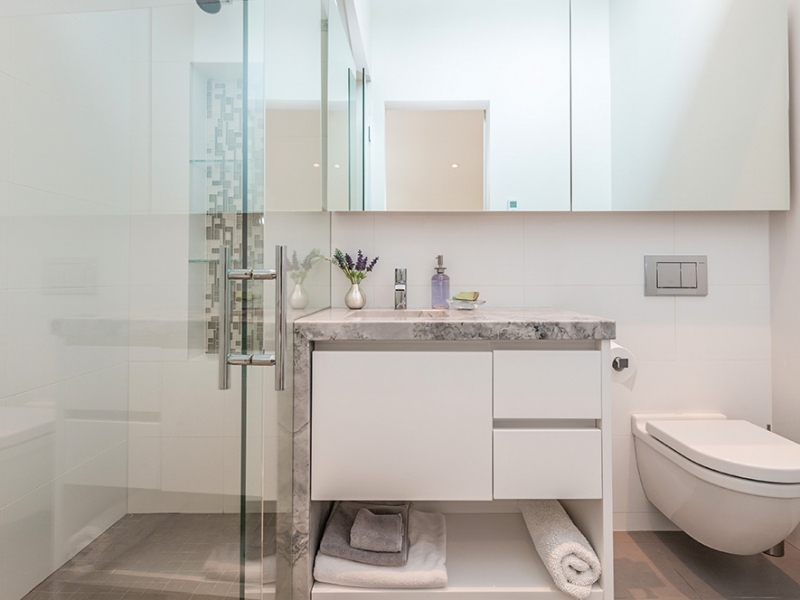 A highlight is the main bathroom, with a floor to ceiling marble shower, with unique sliding marble slab door. 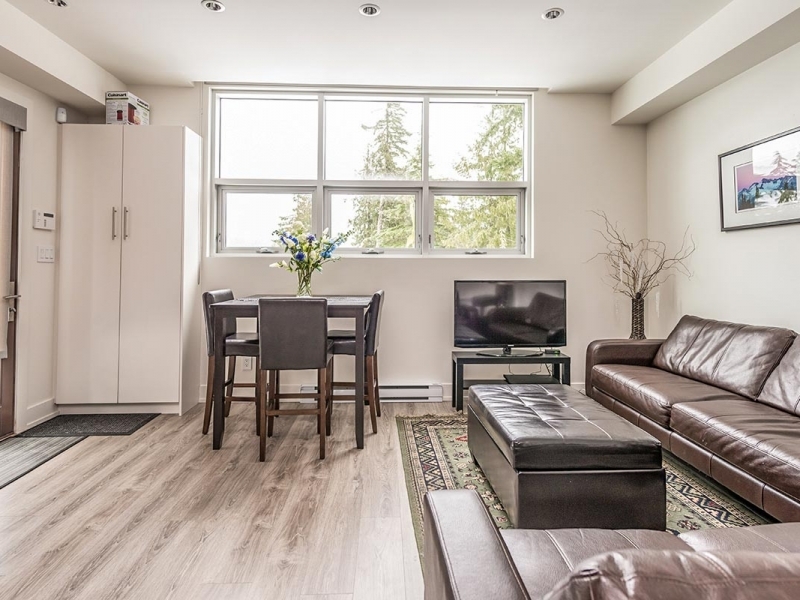 There is a full sized laundry room, and and an office on this floor as well. 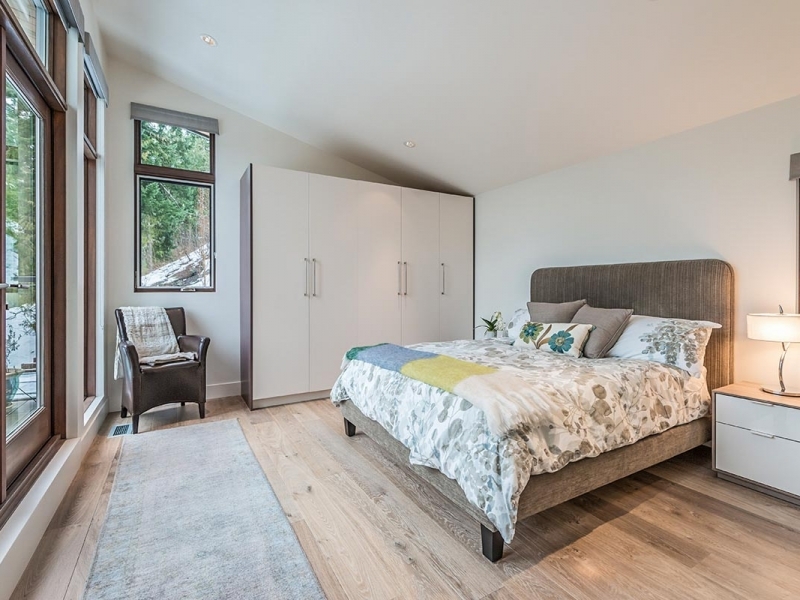 On the third floor, are the second, third and fourth bedrooms, each with en suites. 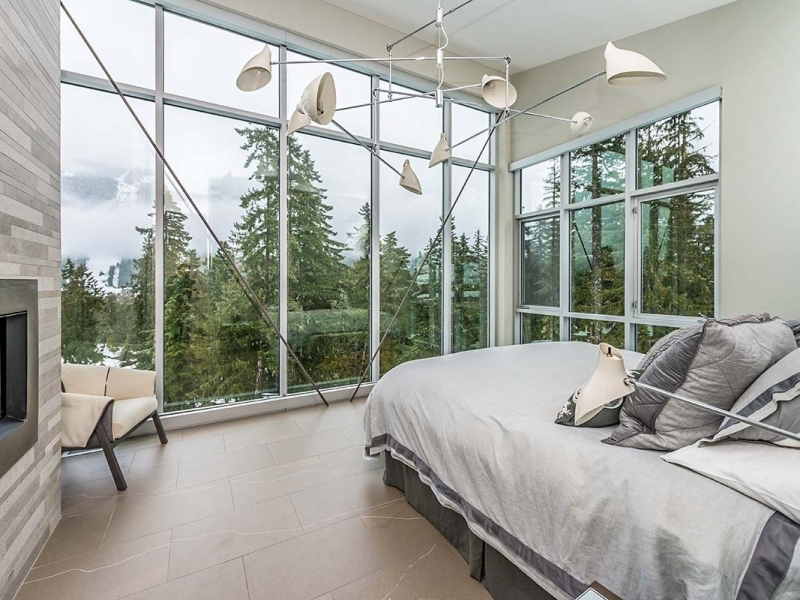 The final and fourth floor has a beautiful master suite, and balcony with floor to ceiling windows with sweeping views. 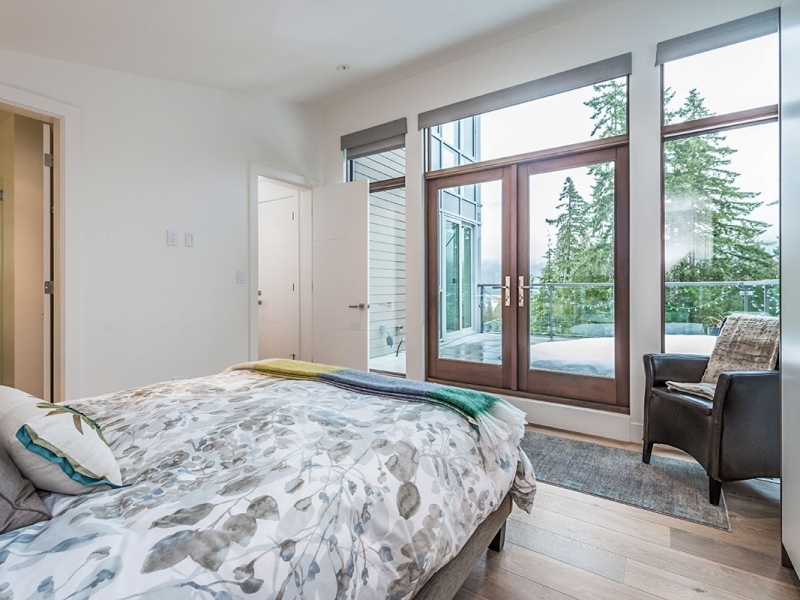 Electronic blinds are convenient for early morning sunrises. 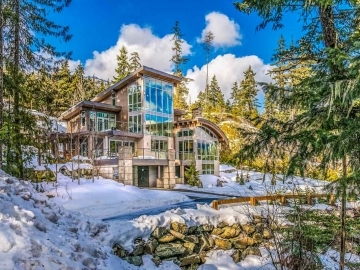 There is a double garage and ample parking on this private property, as well as ski storage and boot/gloves drying racks for after a long day on the hills. 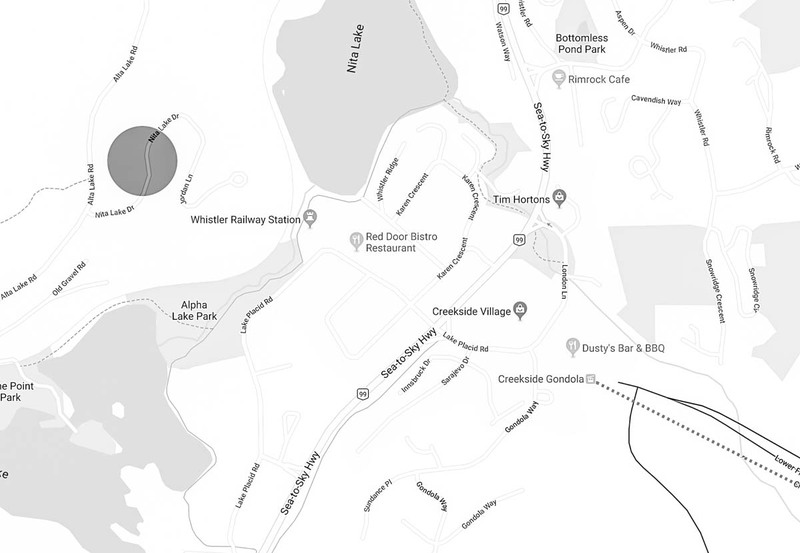 Meet and greet on arrivel. 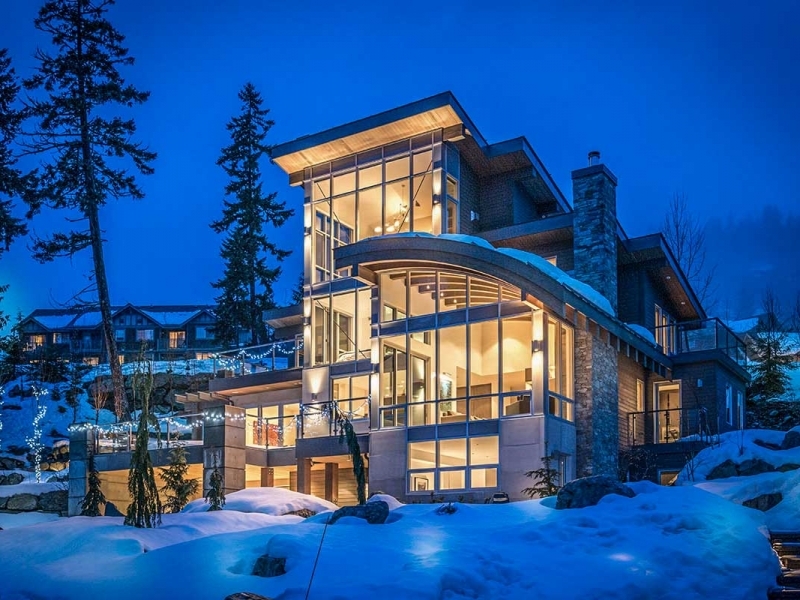 Located only 4 min drive to the Creekside Village slopes and 8 minutes to Whistler Village.